FREE $10 Dunkin Donuts Bonus With Purchase! 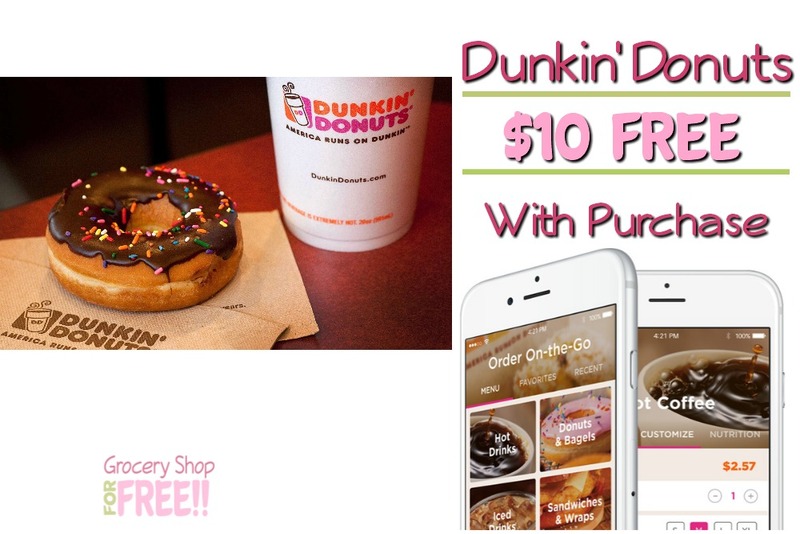 You are here: Home / FREEbies / FREE $10 Dunkin’ Donuts Bonus With Purchase! FREE $10 Dunkin’ Donuts Bonus With Purchase! Right now through 12/30/17, when you add $10 or more to your Dunkin’ Donuts Perks Rewards Card using Masterpass you’ll get a FREE $10 bonus! That mean FREE, y’all! I Love FREE! Just use Masterpass in your Dunkin’ Donuts Mobile App to get your $10 bonus! For more info log in to your account and scroll down to see this offer and more available in your zip code! Haven’t joined DD Perks yet? What are you waiting for?! Get started NOW! Masterpass allows you to pay with VISA, Mastercard, Discover Card or any major credit/debit card!